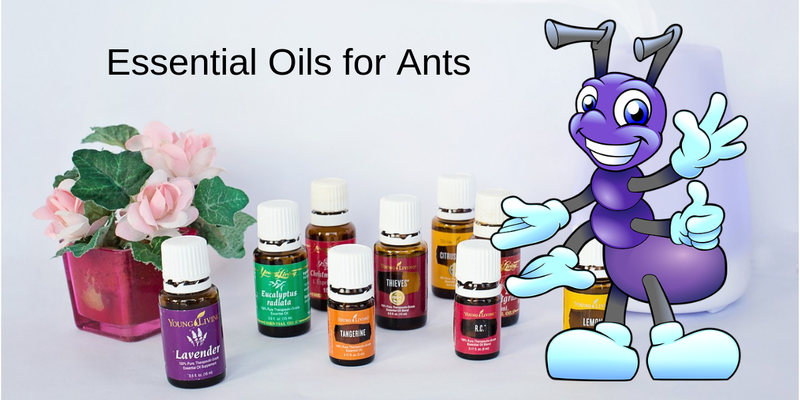 Using essential oils for ants is a safe, natural alternative to harsh chemical sprays. Ants are quite useful in the garden. Their nests help to aerate the soil and they feed on many insect pests, notably caterpillar larvae and fruit-fly maggots. In ancient China, some species were deliberately placed in orchards to attack caterpillars, and the farmers strung slim bamboo runways between trees to facilitate their transit from tree to tree. Ants also help peonies to flower. They love the sweet sap exuded from the unopened flower buds and swarm over them, their activity helping to stimulate the bud into blooming. However ants are not always welcome. Apart from being a nuisance in the home, they are not a welcome sight in the herb and veggie garden. They directly contribute to outbreaks of aphids, mealy bugs and other scaly insects. The ants deliberately ‘farm’ these insects for the sweet milk they exude, protecting them from their natural enemies. If you cannot bring yourself to exterminate these diligent little creatures, considering enlisting the aid of powerfully scented essential oils. Cedarwood, peppermint and tea tree are the tree best essential oils to use. They work because their strong scent interferes with the ants ability to follow their trials. As the ants return to their nest with food, they lay down a trail of pheromones to attract and guide their comrades to the food. The trail is continually freshened until the food runs out. The pheromones evaporates quickly so that the ants are not confused when a new source of food is discovered. Mix 15 – 25 drops of essential oils (15 drops cedarwood, 5 drops peppermint, 5 drops tea tree) in a tablespoon of vodka, or gin, in a non-reactive bowl. Add the oil mixture to a cup of water in a spray bottle. Shake well. Spray the mixture near ant holes and over their trails. Take special care to spray areas where they are entering your home. Your doorway into the fascinating world of the family herbalist. Discover how to use herbs and natural medicine to treat everyday ailments and to live more healthy and naturally. Certificate of Completion if you’d like to help others. Do you use essential oils for ants? What’s your favourite oil? Please share your experience in a Reply below. The information provided is for educational purposes only. Used as a reference, not as a means of diagnosis and/or treatment, it can act as a guide, but only with the cooperation and advise of trained professionals.